Published: December 11, 2017 11:23 Usman Ghafoor, Special to tabloid! 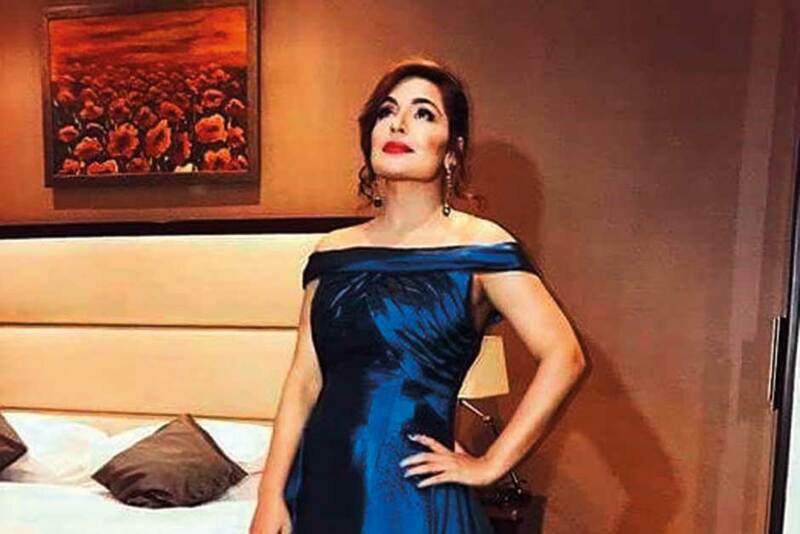 Meera’s look for her upcoming Dubai-Pakistan joint film production, Aks, has been revealed. She plays herself, and isn’t doing any item number. Munir is also responsible for the wardrobe of the film’s other cast members that include Arslan Sheraz, Jyoti Dagar, Roman Khan, and model turned actor Faiza Asif. The horror movie is slated for an early 2018 release in Pakistan and the UAE.